Let me tell you one thing straight up: train travel in Europe is here to ruin your life. But this is the difficult truth: once you experience the comfort, convenience and general badassery of train travel, it’s a difficult return to life pre-rail. Especially so in Europe, a continent packed with scenic routes, dramatic landscapes and a surplus of incredible destinations to gawk at. But hey, you know, sometimes sacrifices must be made. If you dare to take this plunge and risk becoming a transportation snob yourself, I invite you to read on. 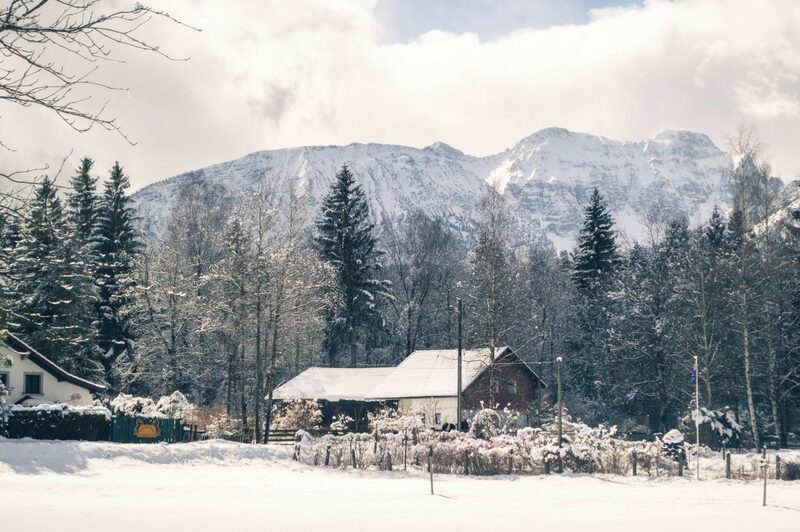 Train travel is by far the most scenic and comfortable way to get around Europe (though not usually the cheapest), and there are some routes that will genuinely blow your mind. In fear of overselling you, I’ll simply say this: the following train rides are eye candy in their purest form, and if you’re anything like me (a chronic sucker for views), then you NEED to see them for yourself. 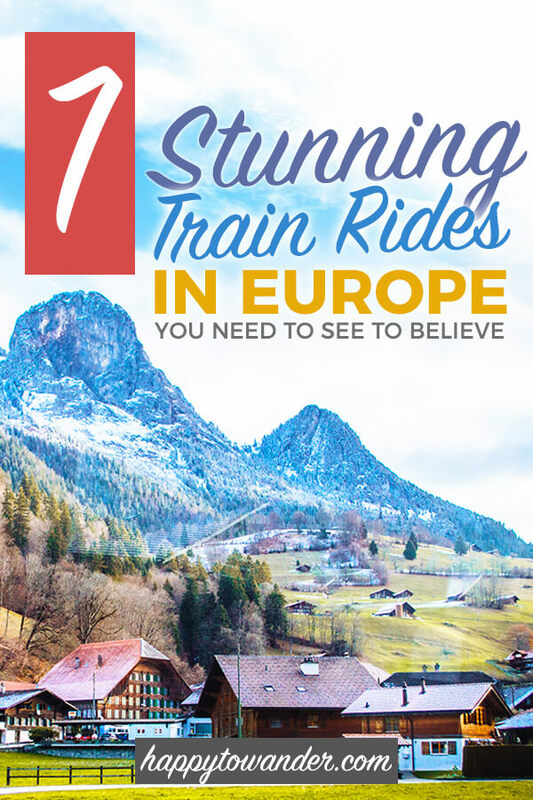 So, without further ado, here are some of Europe’s most scenic train routes (I recommend setting a bowl aside to catch your drool as you scroll through). This post is in partnership with ACP Rail International and Eurail, who provided me with a rail pass I used on many of these adventures! Clearly, I’m hooked on train travel… Let me know in the comments where your favourite train ride is in the world so I can add it to my bucket list! Truly, it took every ounce of my self-control to not put the entire country of Switzerland on this list. In fact, a peek at early drafts of this post will quickly reveal that my original list was Swiss-er than a luxury watch dipped in fondue. Truth be told, a lot of my Eurail pass was used for train hopping in Switzerland (a seriously amazing value considering the high cost of EVERYTHING in that country), but because I don’t want to play favourites, I’ve decided to highlight just one. Now, the Swiss train system is studded with scenic heavyweights and household names such as the Bernina Express and Glacier Express, but today I’d like to add another stunner to your bucket list: the Golden Pass, a glorious journey split in three parts between Lucerne and Montreux. Specifically, I need you to know about the Golden Pass Classic train, which uses refurbished cars from the Orient Express (except you know, less murder). This scenic section of the ride between Montreux and Zweisimmen brings a whole new meaning to the term spectacular, taking you past narrow valleys, lake views and mountainscapes to die for. As part of my tour of Swiss Christmas Markets, I hopped on this ride in late November, catching the perfect sweet spot in the off-season when golden trees mingled with snowy mountains to create the most scenic train ride on Earth. I’ve always thought that Norway was where Mother Nature went to gloat and show off her best work. I mean… the fjords, the mountains, the… *ahem* vikings! 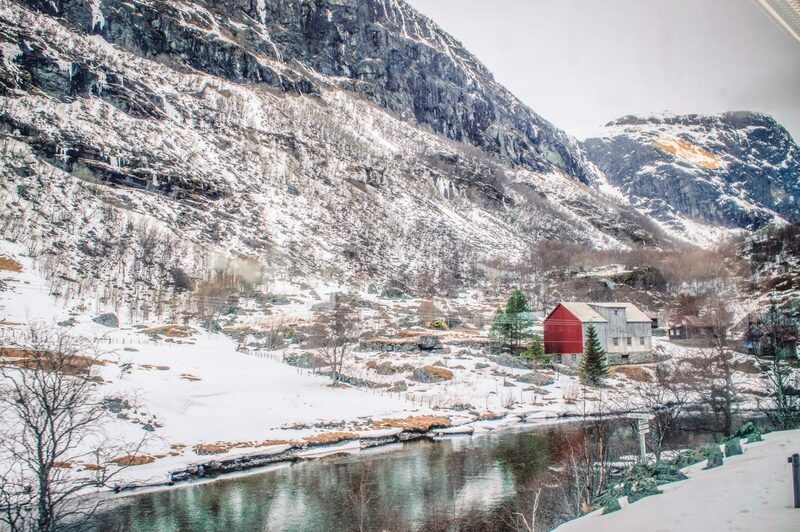 If addictive eye candy is what you’re after, Norway is where you’ll find it in spades, and I highly recommend booking a trip on the Flåm Railway to soak it all in. 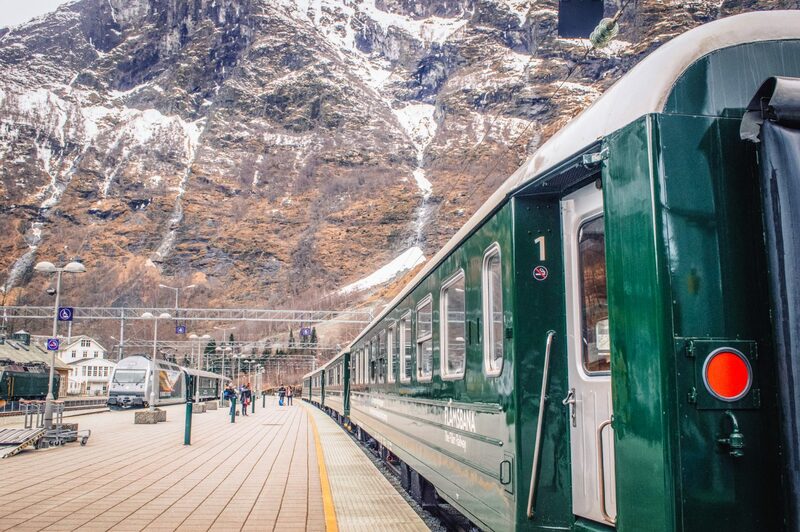 This train line is one of the steepest in the world, and offers unbeatable views of Norway in all its majestic glory. The South of France is a region known for its lax Mediterranean vibes and gorgeous landscapes… but can you imagine exploring it by rail, a gentle breeze in your hair as you glide past one of Europe’s most scenic coastlines? Now that’s sweet joie de vivre. And while France’s mega high speed trains often turn any scenic views into disappointing blurs, there are still several regional trains well worth the ride… and trust me, the Train de la Côte Bleue is one of them. This train ride offers up an hour and fifteen minutes of scenic bliss running between Marseille and Miramas, and it’s a stunner. In many ways, this scenic stretch along the Rhine River combines many of my favourite things: vineyards, castles and lush, knockout beauty. The journey between German cities Cologne and Mainz is one that I first got to experience on board a river cruise, back when I did my crazy summer internship with CroisiEurope. When I found out this route was doable by train, I just about melted into a puddle of goo. … jaws were dropped, and shortly after, plans were made. 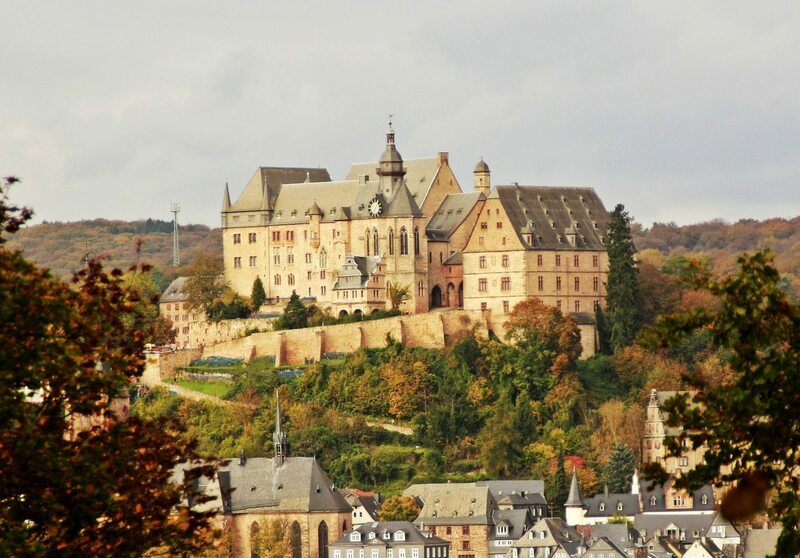 Known worldwide as part of the “Romantic Rhine” journey, the West Rhine railway winds its away around the famous Rhine river, swooshing through green valleys studded with charming castles, vineyards and picture-perfect landscapes that will literally stop your heart. It is by far one of the most scenic train routes you can do in Europe. 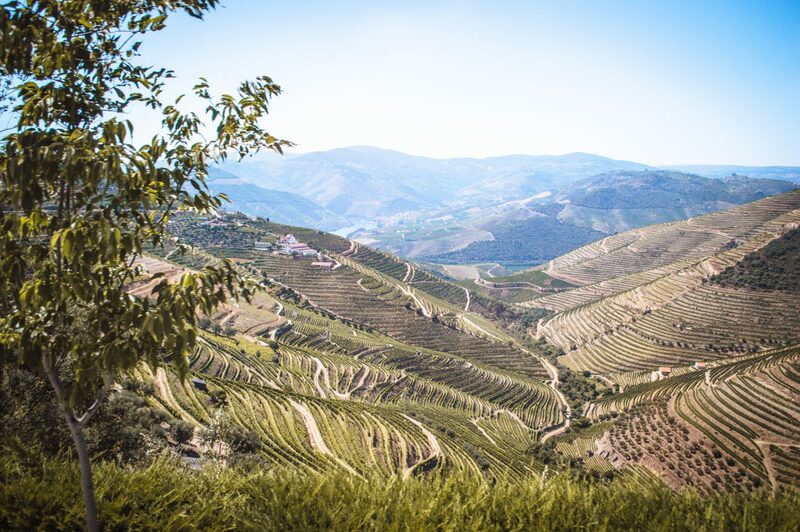 Portugal’s Douro Valley is hands down one of my favourite places in Europe. Imagine perfectly terraced vineyards, picturesque olive tree clusters and rugged, rocky terrain, all framing a bright blue river. In this picturesque dream, the views are nothing short of magic. This was another area I fell for during my river cruise days, and I’ve literally yakked about the beauty of the Douro to anyone that would listen. If cruising isn’t your thing though, the Linha do Douro train route running from Porto to Pocinho allows you to take in the beauty of this picturesque river, all from the comfort of a swishy train carriage. PRO TIP: If you visit during the summer, there’s also an old timey steam train you can catch through the valley. 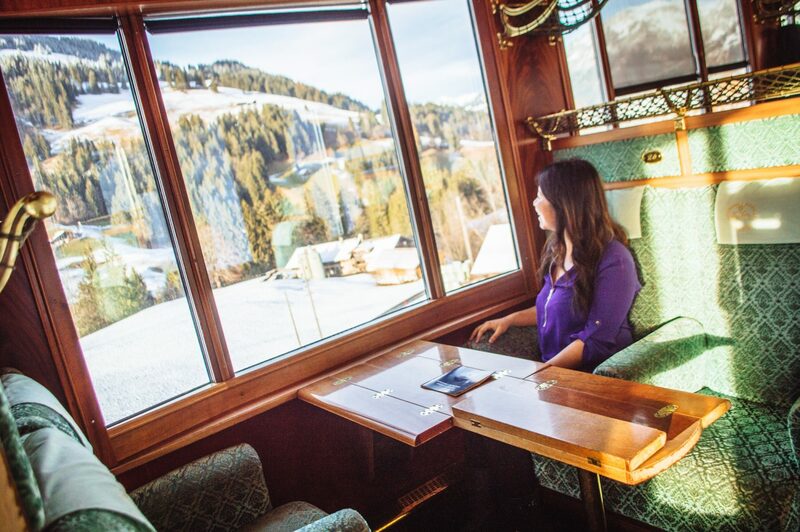 I could chat you up all day about the beautiful train rides in and out of Munich. I’m incredibly spoiled to be living here, a stone’s throw away from the Alps and all their pristine glory. There are several noteworthy train rides in the area, including the scenic Black Forest, which (besides an excellent cake) offers up incredible views by rail. My personal favourite however is the train ride from Munich to Mittenwald (or Füssen if you choose to disembark a little earlier). Not only are the sights along the way absolutely gorgeous, but the destinations are insanely special in their own right. 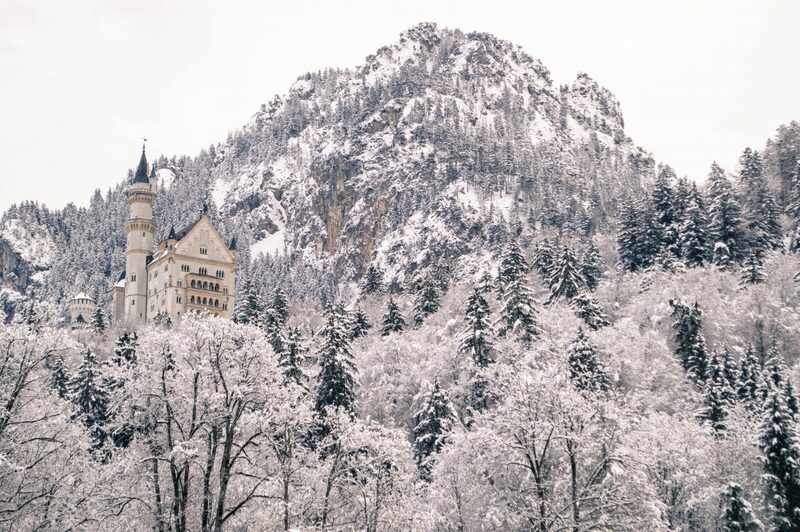 In fact, just outside of Füssen is where you’ll find Walt Disney’s fairytale muse – Neuschwanstein Castle, one of the dreamiest places in Germany. And last but not least, I bring you the scenic train route of your childhood dreams. 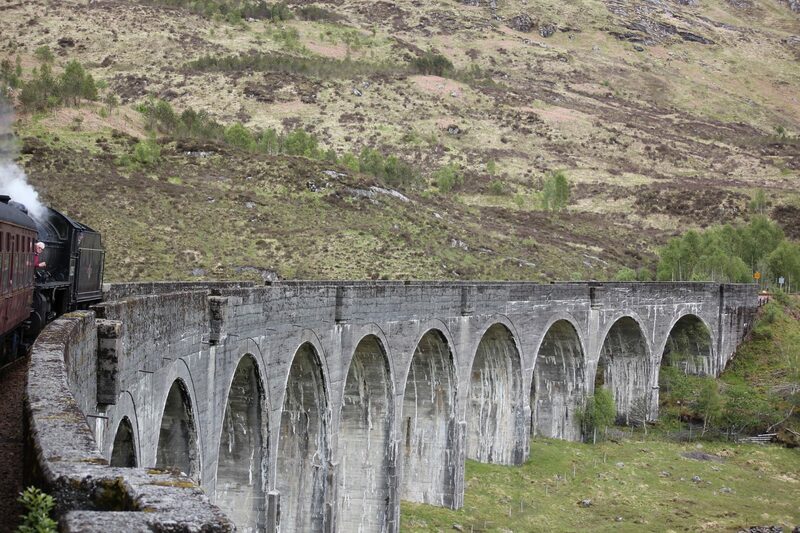 One of the main highlights of this ride is a chance to chug across the Glenfinnan Viaduct, a starring sight in our childhood hearts thanks to Harry Potter & co. Beyond that though, this ride is a unique chance to immerse oneself in the dramatic and rugged landscapes of Scotland – a worthy incentive in itself. Glad you have both the West Highland Line and the Flam Railway on the list. The Bernina Express is stunning. I lived in France on Lake Geneva and in Basel in Switzerland and I would say the train journey from Geneva to Zurich is pretty special too! What a great itinerary. I always recommend to anyone traveling in Europe to take the train— it’s just so much nicer than than flying and feels like part of the cultural experience. Will definitely follow some of your suggestions! Omg I love train rides especially in Europe. You get to enjoy the most beautiful scenery you’ve ever seen in your life. And yes the entire country of Switzerland is a piece of heaven❤❤❤ I hope to experience this one day! I loved this post! Thanks for adding several train routes to my future itineraries. LOL! We had the pleasure of doing the west Rhine Route as well and it was absolutely incredible. I love traveling by train in Europe too and these are amazing. By the way…I did the Hogwarts Express. It’s pretty cool! I agree – there is nothing like traveling via train in Europe. The scenery is epic and the trains are always so nice no matter what class you travel in. And Eurorail is the way to go! I haven’t done any of those particular train rides, but, I’m certainly going to try to get to them. The West Highland Line is absolutely stunning! And yes, your inner child will probably be giggling from excitement all the way. I feel like traveling by train is so incredibly underrated! Most people opt for a quick flight to save time or a night bus to save money on accommodations. But it is honestly my favourite kind of transportation. There is something so relaxing and freeing to just stare out of the window while the train is moving through the most scenic views of Europe. Anyway, loved the article! Definitely planning on seeing the West Rhine Railway after this!